Here’s a list of all the books I’ve read, organized by genre and alphabetical by author. If you have questions or thoughts about any of these, just ask! If I didn’t read the book too long ago (or forgot it) I can even write a post about it. *Favorites are purple and linked to reviews (links pending). When possible, books are linked to reviews on this site (favorite or not). Series are in order. Discworld Series by Terry Pratchett. 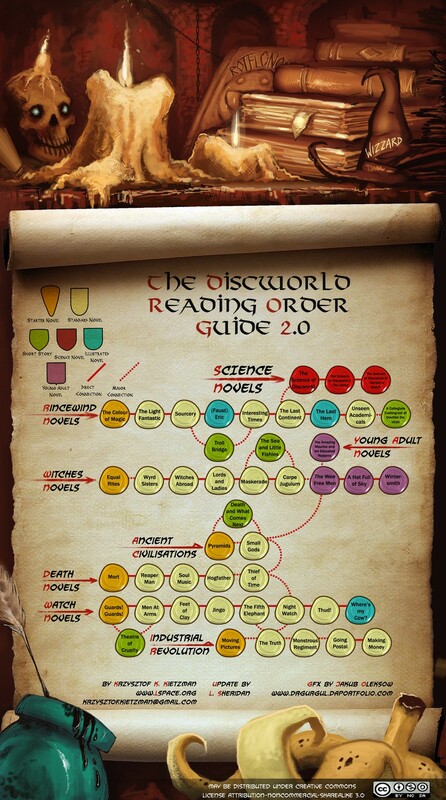 In order, according to this reading guide.